Mr. Allen Henry Luft passed away on Monday, October 15, 2018 at the age of 81 years. Arrangements in care of Heartland Funeral Services, 5226 - 46 Street, Olds, Alberta. 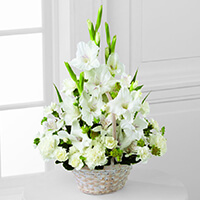 To send flowers to the family of Allen Henry Luft, please visit our Heartfelt Sympathies Store. Norm and I are saddened to hear of Allan passing. We are in Vancouver and Tanya and Don let us know. Take care at this very sad time. We send our love to you. In memory of a sweet, kind and wonderful man, Allen Henry Luft.